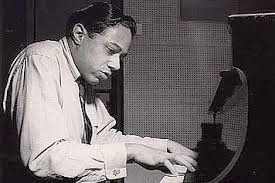 This past Wednesday June 18th jazz great, pianist, and composer Horace Silver passed away. And I have to say, for the jazz community, and for music in general this is a huge loss not only because Silver was great, but because his music inspired other people to want to be great too. Silver's music has inspired me, and there have been many a day where all I can even think about listening to is Horace Silver. His music provides solace when solace is unfathomable, and for that I will forever be grateful for his contributions to this wonderful world of music. 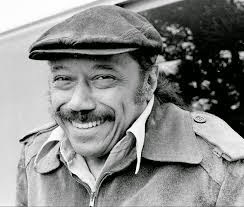 Check out this NPR article and Horace Silver's website to learn more about Silver's prolific life and career. I love this song! The harmonies are what some would call "crunchy", but I think this song is just absurd in the best way. During my junior year of high school I went to a Birdland Big-band concert, and during the intermission the band let audience members vote for a few songs they wanted the band to play. Well, I saw "Nutville" was a choice, so I voted over 25 times for that one song, and well, the leader Tommy Igoe announced the song was disqualified because someone voted an astonishing amount of times...What can I say? This song is my jam! It's groovin' to the extreme, has great personnel, and is so catchy. If you could bottle up sunshine, I am pretty sure this song would be the sound of it. It makes you feel like you are on vacation, in the sun, and even at Cape Verde! I have raved about this song in a previous blog, Peaceful Jazz Songs, and for a reason! This song is beyond- beyond beautiful, beyond relaxing, beyond compare! This song is elegant, and I don't know many songs I would describe as elegant. But this song...elegant. This song is hilarious, and I believe it was my first experience with Horace Silver- my high school jazz band played it when I was a freshman. I was overcome with the hilarious introduction- I remember laughing uncontrollably- as well as the pure bluesyness and groove of the song. If someone asked me to define "swing" I'm pretty sure I would just turn on my iPod and put this song on- no words needed. I don't know if a song can be more beautiful or relaxing than this. It was a top pick in a previous blog, Relaxing Jazz Songs, where I explained this song makes me picture carefree people flying their kites on a clear, lucid, windy day in New York with families having picnics, and people walking their dogs- I don't know of many songs that create such a full picture in my head like this one. Personally, I do not go to church, but this song sure makes me want to go to one! It sounds so fun, and no matter who or what you believe in, you have to believe this is one of the most swingin' songs out there! This song makes you start bobbing your head, and saying "Yeah! Yeah! ", like you are actually at church. I'm not kidding- give it a listen and you'll know what I'm talking about! When I was first starting to really learn about improvising I remember playing many a Horace Silver song- so when I think about it, I have really grown up as an improviser by listening to and playing Silver's music. Silver's music is such a part of the jazz world, and now it's part of my world- and what a world it is to have had such a genius play music before us!